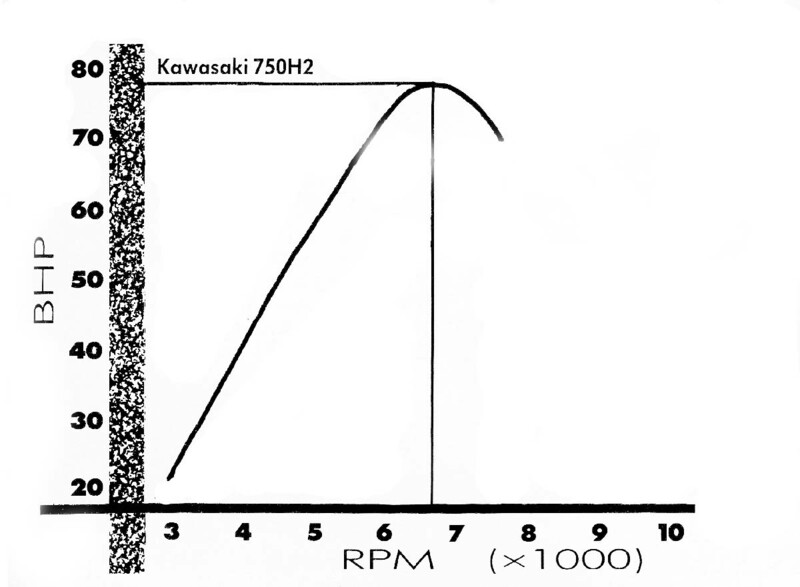 Of course, we’re all looking forward to a ride on the new Kawasaki H2 and H2R next week. 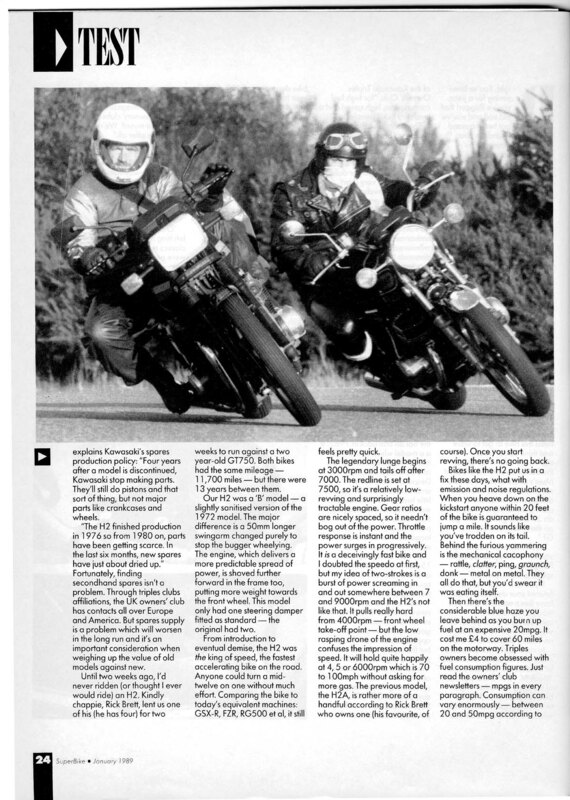 Yay us! 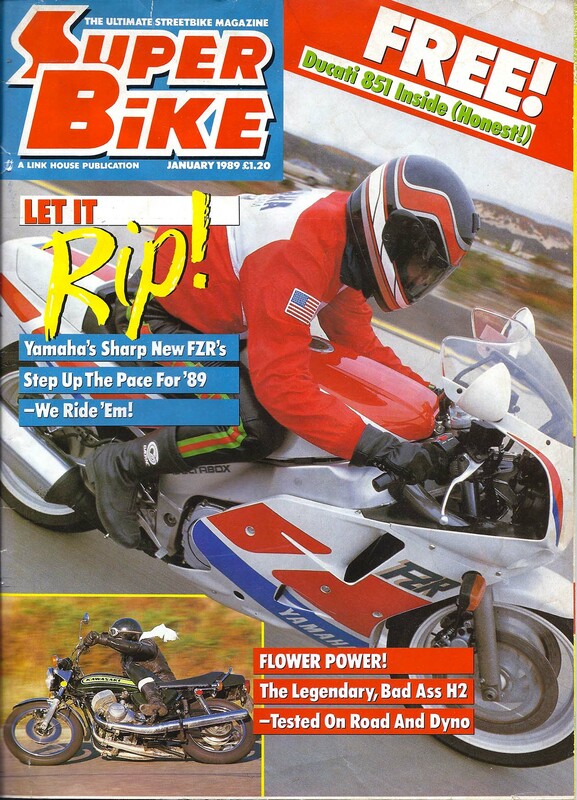 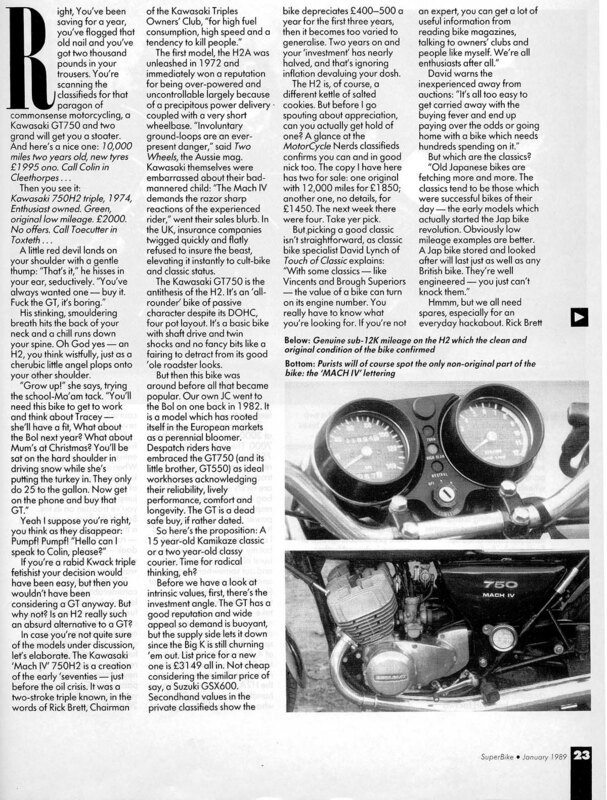 And to kill the time before we fly to Qatar for the supercharged behemoth, we’ve been trawling the SuperBike archive for the original Kawasaki H2 – the three-cylinder 750cc two-stroke. 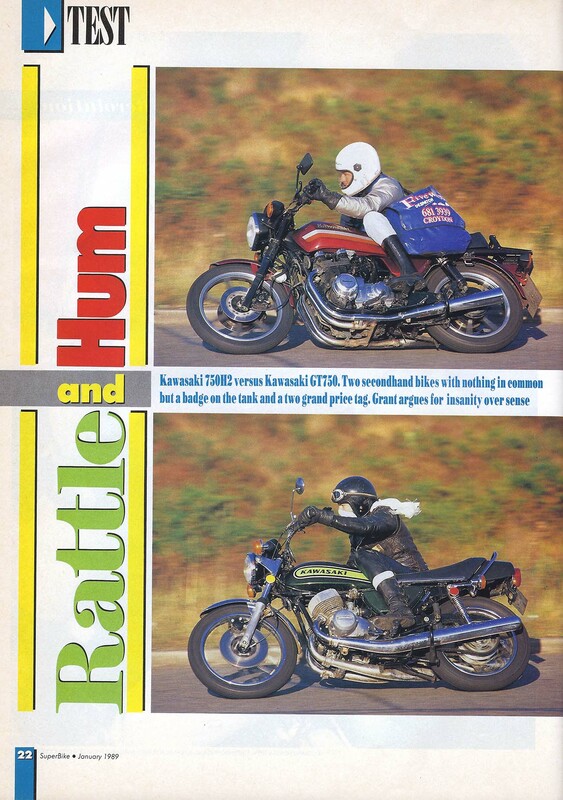 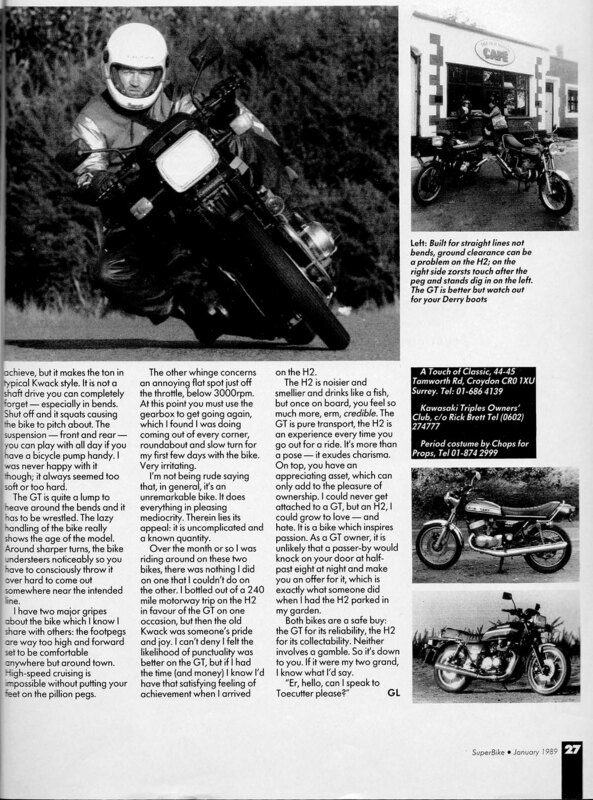 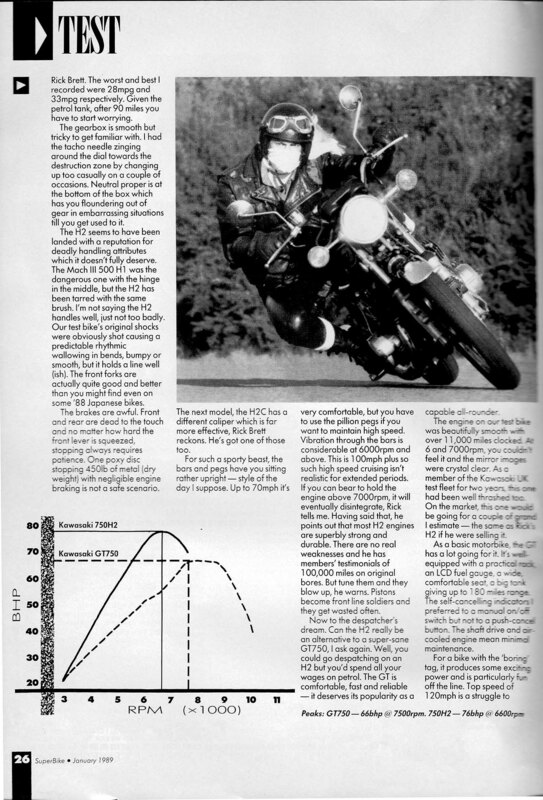 And we came up with this test from 1989 – a comparison test between the H2 and Kawasaki’s GT750 – a four-cylinder four-stroke beloved of motorcycle couriers and tourers.